They're little and we love 'em. But which ones are best? The AA1, as it's fondly called, remains one of the best SCCs, for a number of reasons: it's cheap, it looks great, it's easy to carry and it has a fine keyboard. The 8.9in screen is bright and glossy. Acer has the all the OS and storage choices covered. As you'd expect, the SSD versions - the A110s - have a lower capacity than the HDD models - the A150s. The Linux models are cheaper than those with XP. Indeed, PCWorld, Dixons Online and Currys have the most basic, 8GB SSD model at a mere £199. The AA1's implementation of Linux handles all the basics, but installing alternative apps can be tricky - see Ten Tweaks for a new Aspire One - which is an issue because Skype isn't pre-loaded. Nor is 3G modem support, though Acer promises this is coming. In the meantime, certain modems can be made to work with some extra software and some tinkering. 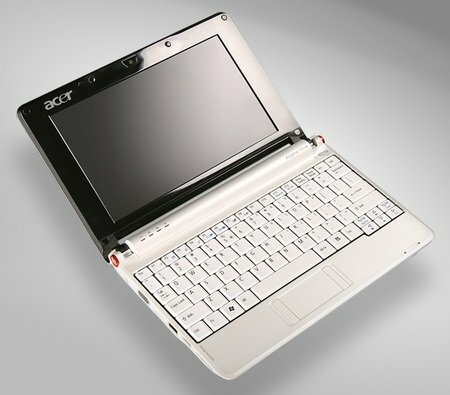 There is an interior slot for a 3G card, but Acer has yet to say whether it will make this a user-installable part - or when it might be made available. There's no Bluetooth, and the AA1's battery life isn't the best of the bunch, but it's only just below par. The laptop's performance is good, though. 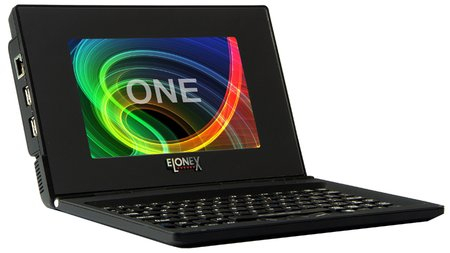 A left-field entry, the Elonex machine is way cheaper than most - the One is £99, the One+ £119 - but it has a lower spec and, crucially, is based on an obscure Chinese processor that's not compatible with most PCs. That's no problem if you stick to the basics - email, web browsing, document viewing - but if you want to install extra apps and like the idea of the broader software support Windows and Linux offer, this won't be a machine for you. The One comes with just 1GB of storage and 128MB of memory. The One+ ups the Ram to 256MB, the storage to 2GB and adds Bluetooth. Both have a removable keyboard - the processor and other internals are behind the screen, giving the laptop a slightly top-heavy look. The screen is 7in in size, 800 x 480 in resolution. The One-T and One-T+ have the same specs as the One and One+ - the difference is a big, more traditional laptop-like look, and costs £129.